This is my interface design idea for the new german electronic health card system. If you allow Medical institutes to scan your health card, they overview your entire health process in a timeline and can help even faster. The health process will be save for only 3 month in our Medical institutes. Furthermore, you can manage all accesses on your data by yourself, this will reduces data abuses. 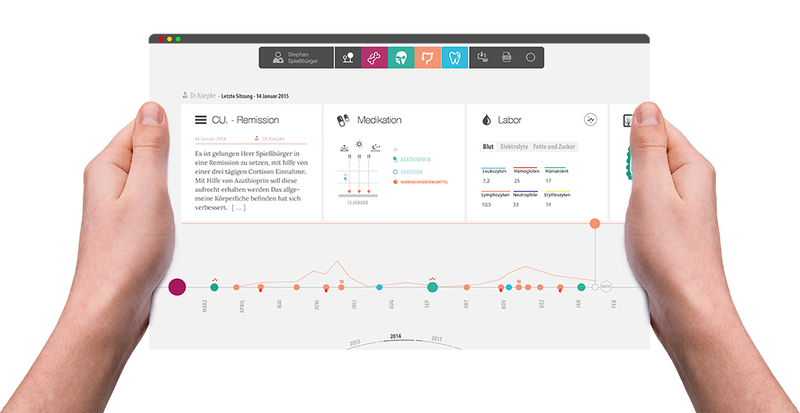 The Doctor can see diseases reports and comments by other Doctors. Laboratory sampels and medical imaging (like ultrasound) can be compared side by side.